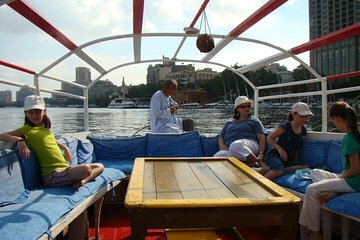 Get a different perspective of the Nile River during a private half-day cruise by traditional felucca, an Egyptian row boat. Taking a private tour means that you’ll receive the undivided attention of your guide as you float along the Nile at sunset, undoubtedly the most magical time of day. Plus, hotel pickup and drop-off mean you don’t have to worry about finding a meeting point.